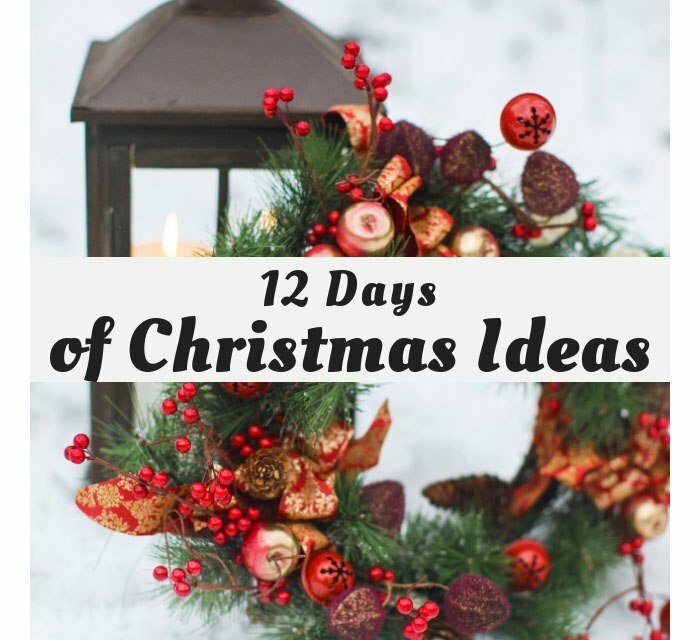 It’s Day 9 – Pretty Gift Wrapping Ideas! My favorite money saving trick when it comes to gift wrap is, whenever I see a sale, to always purchase solid colors or stripes. That way, I always have wrapping paper on hand that can work with any occasion! I found this lovely striped silver and white paper over a year ago and it has worked for me through a baby shower, two birthdays and now I’m using the last of it for this christmas! 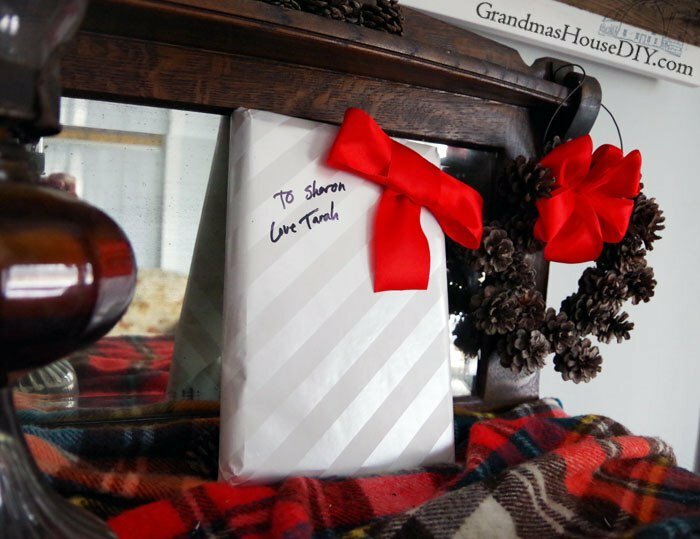 It’s Day 9 – Pretty Gift Wrapping Ideas! The trick with purchasing wrapping paper to work with multiple occasions is to always choose subtle and elegant. Even a design on this lovely wrap in this color would still work fine even for a man’s birthday. Solid colors in the golds, silvers and grays can literally be dressed up for any occasion. For the baby shower I adorned this paper with pink bows. For the birthday party I matched it to my gift bags with orange and green ribbons. I think of wrapping paper almost like a closet. Solid and simple basics is a great foundation that can be dressed down or up depending on the occasion! 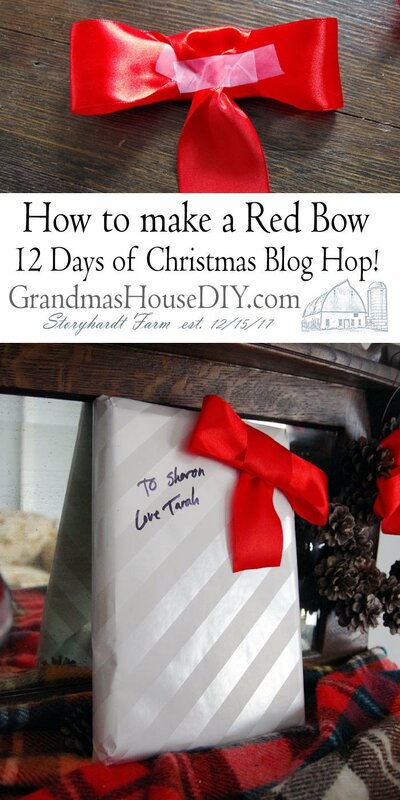 In this case I grabbed my red ribbon and made a simple bow. Because I had stripes I was working with I decided to wrap my gift at a diagonal to give the feel of a candy cane! The bow I secured with a little tape on the back. So simple and elegant! 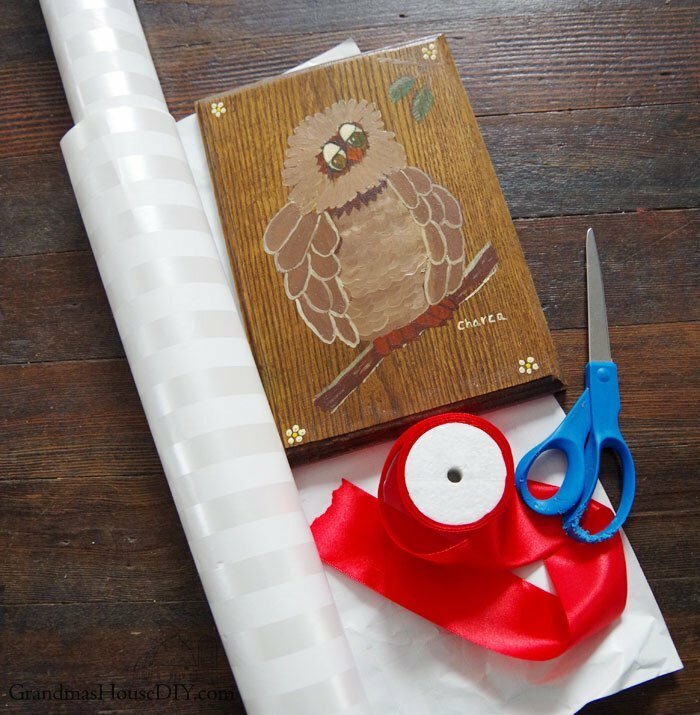 Scroll down for more Pretty Gift Wrap Ideas for your holiday season! Using plain or striped paper is a great way to save money on paper, and reduce clutter. I always have a mountain of different papers, as I see a pretty one and spend. This make more sense and your gift is adorable. That bow looks fantastic matched with that paper. I love how it’s clean but still festive. So pretty (and easy)! Any gift would look so elegant wrapped like this!